Flock Of Starlings Lands In Reeds Against The Backdrop Of The Setting Sun. 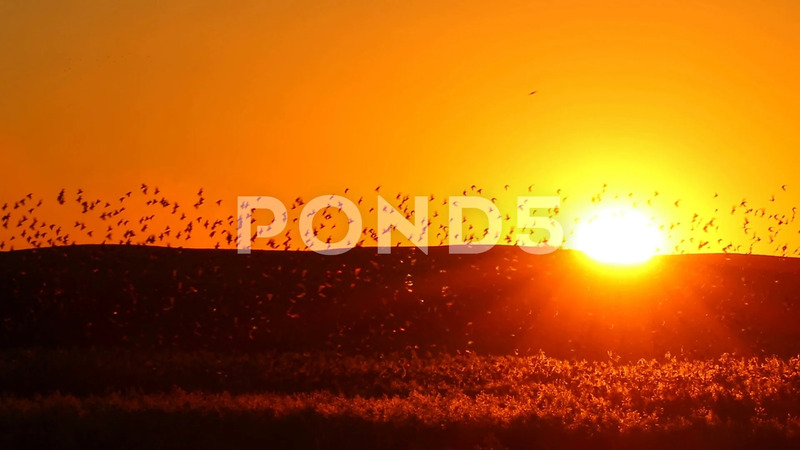 Description: Flock of birds flying against the backdrop of the setting sun. Common starling.